Mrs Braw’s hair oil is a blend of 6 lightweight oils and essences. Whether you use this as an everyday product, add the glimmer you need to rule the world or freshen up after a day on the trails, this will become your must-have product. You’ll wonder how you ever managed without it. Use as a refresher to quickly restyle hair later in the day if needed. Scented with ylang ylang (sweet, floral) & sandalwood (musk, wood). The 50ml bottle last 3-4 months depending on hair length. This is based on our Heather Beard Oil. Heather is suitable for all hair types. Handmade in Scotland, Braw Beard Oils use the highest therapeutic grade oil blend. We create, test and research to produce the best possible product we can. Directions: Add a few drops to the palm of your hand, rub hands together and smooth through hair lengths, concentrating on the ends. Suitable for everyday and all day use. Our 50ml bottles last 3-4 months depending on hair length. *Argan oil is extracted from the nuts of the Argan tree, nut allergy sufferers should consult a doctor before use. 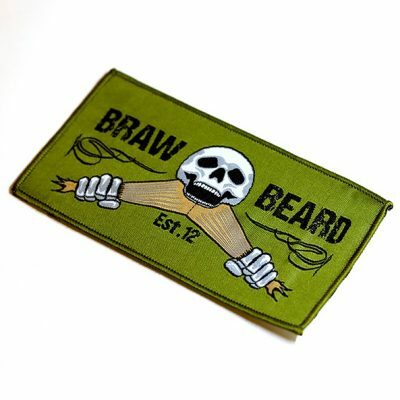 Braw Beard Oils use Hempseed Oil (Cannabis Sativa) as the main ingredient blended with our own unique scent recipes. For any allergy concerns, please get in contact. *The THC content in our hempseed oil has been removed, however we cannot guarantee there is no trace left. This product is not intended to prevent, treat or cure any disease. Do not drink it. If any irritation occurs, discontinue use. Bottle & label may appear different to photo due to stock.